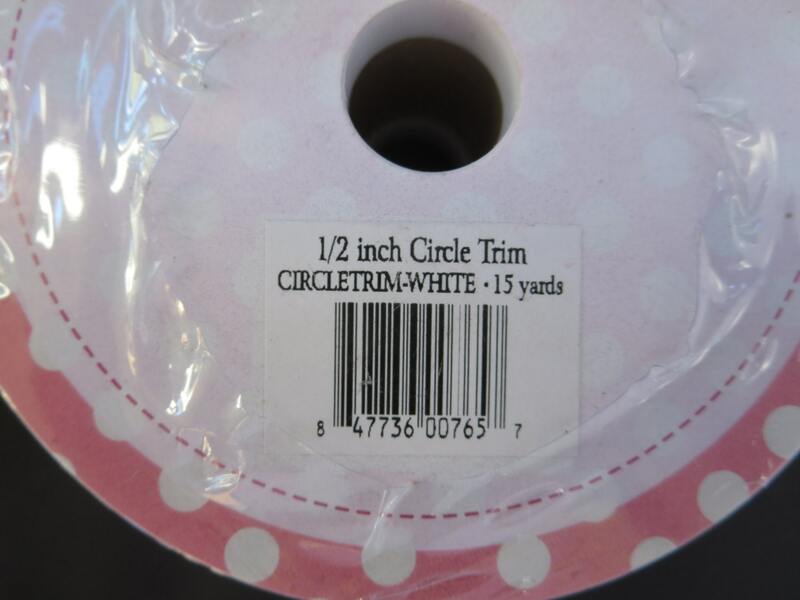 CIRCLE TRIM-WHITE - Riley Blake Designs Brand "Sew Together"Circle Trim - Package contains 1/2" wide x 15 yard spool. Trim is custom colored and designed to match perfectly with Riley Blake Fabrics and Sew Together buttons, Crocheted flowers, zippers, and trims. 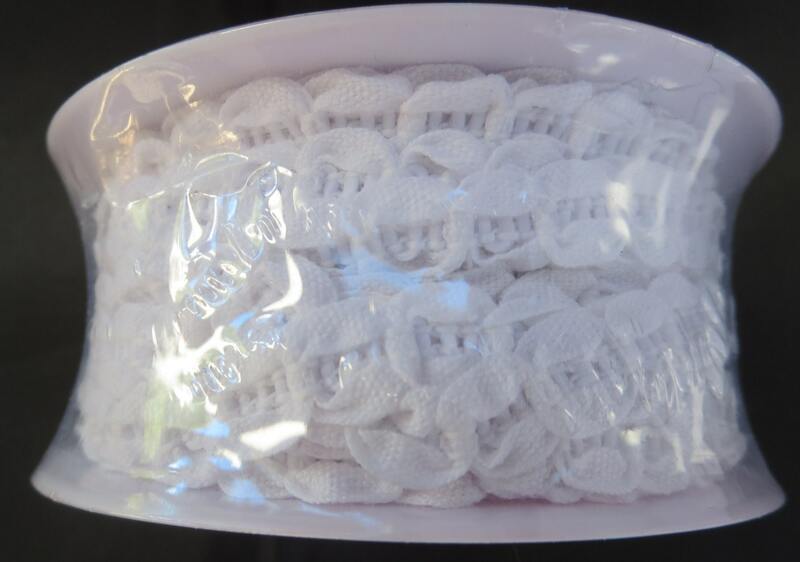 Washable 100% Cotton.